Revisiting SKY CAPTAIN AND THE WORLD OF TOMORROW | Warped Factor - Words in the Key of Geek. Matthew Kresal enlists in the Flying Legion. There are films that are at once throwbacks to another age while also looking forward to the future. 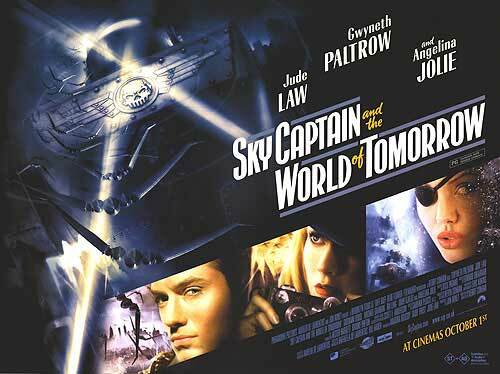 2004's Sky Captain and the World of Tomorrow was just such a film. As its title may suggest, the film called back to the adventure serials of the 1930s and 1940s. Yet the way it was made showed the potential ahead for filmmakers. The results, while not perhaps as well appreciated at the time, continue to make for interesting viewing more than a decade later. The best (and really only) way to look at this film is something of a throwback to an era gone by. Set in an alternate and more technologically advanced 1939, Sky Captain and the World of Tomorrow plays with many of the tropes and cliches found from the serials of the era. There's the dashing action hero in the form of the titular "Sky Captain" Joe Sullivan (Jude Law) and plucky female reporter Polly Perkins (Gwyneth Paltrow) in the lead roles. In aesthetic terms, the film draws much from the era as well, from its costumes to World War II aircraft such as Sky Captain's P-40, to the more science fiction and fantastical elements including mechanical monsters. 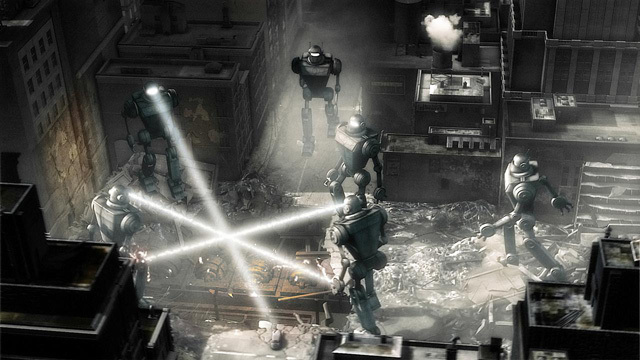 Elsewhere, there's a number of Easter eggs hidden within the film, including references to Orson Welles' infamous War Of The Worlds radio broadcast and the 1933 King Kong. For those who are fans of the era, the film is a feast. Indeed the film on the whole is a visual feast. Not only does it back strong use of the diesel punk aesthetics, the filmmakers went to great lengths to give Sky Captain the feel of being from another era with its choice of lighting and camera angles that are suggestive of the time. Beyond that, the film is notable for another reason. Shot largely against blue screen, it was one of the first to make use of the so-called “digital backlot” and is heavily reliant on CGI as a result. Most of the time it works though there are a handful of shots where the CGI and live action elements fail to believably blend together, though those moments are few and far between. It seems ironic that a film set much in an idealized and fantastical version of the past would be so reliant on computers to bring its “world of tomorrow” to life, but it's something that makes the film standout. Sky Captain and the World of Tomorrow is truly visionary, something that can't be said very often. Even after the passing of a decade, I'm hard pressed to think of another film like it. Kerry Conran does a magnificent job as director, especially a first time director, in orchestrating all of the various elements together in a single cohesive whole. For Conran's film combines actors, costumes, props, special effects and Edward Shearmur's heroic score to create a film that pulls from the past yet delivers something exciting and fresh. That's no mean feat in this day and age. For all of that though, the film is not without its weaknesses. Drawing heavily on those adventure serials for its inspiration, Sky Captain and the World of Tomorrow also falls foul of some of its cliches. The characters are all drawn in the most vague and cardboard of terms, though its due to the credit of Law, Paltrow, Michael Gambon and Angleina Jolie that they bring them to life as well as they do. That vagueness goes right to the plot as well which, in true serial style, is little more than a series of set pieces tied together with mini-cliffhangers to keep the audience's attention while not making much logical sense. For a film that transcends the low budget nature of many of those serials to present a visually stunning feast, it seems a shame that the script couldn't do that as well. On the whole though, Sky Captain and the World of Tomorrow is well worth watching. It combines together thrills of a bygone age with the visuals of that time and 21st century CGI to create a work that remains unique but also groundbreaking. Despite some flaws, it's a two hour action/adventure feast sure to please fans. Plus, perhaps, it might find the audience that missed it a decade ago and can now enjoy it for what it is.